Honeybees for David Archuleta are Swarming! Welcome to the David Archuleta Honeybee blog. We BUZZ for David! The honeybee is Utah’s State Insect because it dances to the honey-toned voice of David Archuleta. Haha! If you ever visit Utah, you’ll see honeybee and beehive icons and images everywhere. The State Capitol in Salt Lake City has two giant beehive sculptures signifying “Industry”, the State motto. The Honeybee Group was formed as a message board on Hey! Nielsen, the social network-market research site created by The Nielsen Company. Nearly 500 David Archuleta fans joined Hey! Nielsen to write opinions about their favorite topic. Our dedicated participation kept David Number 1 in the Music category for many months. Even before the American Idol show ended, David was #1. Alas, Hey! Nielsen is no more. It is slated to be replaced by a “consumer site” in 2009. What will the more than 175,000 members do now? We David Archuleta fans enjoy an abundance of choices among fan sites and David’s official Internet sites. DA Buzzing is one more. We hope our site will fill the gap left by the departure of Hey! Nielsen whose powerful software allowed members to rank and comment on various TV shows, movies, music artists, games and even commercials. We may never know what Nielsen does with all the data it collected, but we now have control over the message and the medium, if not the madness, of David Archuleta “BUZZness”. We enjoy expressing our knowledge, thoughts, and emotions about David and his music. David’s fans all over the world can come here to learn about him, his music, and the interest he generates. This Post has earned 8 Buzzes. Are you going to be posting more David Archuletanews on your blog? I’m actually testing my login with WordPress. Guess I’m set up!!! I sure like the idea of having a centralized site where our buzzing can continue!!!! So happy to see that we have a place to keep buzzing about “our David”! Love David’s CD. I play it every day and never grow tired of that voice !! Just when I think I could not possibly admire David Archuleta anymore than I already do, I learn that he is a Boy Scout and during his recent trip home (with only a small window of time), worked on getting his Eagle badge by planting over 100 trees in a park! What an amazing young man with so many positive and good character traits. He is my role model, and I really mean that! He is all about doing the right thing and he is so positive and on the right path. Such a great person, very inspiring!! I think David renews this pledge each and every day, as we all should. What a perfect representation of a scout! 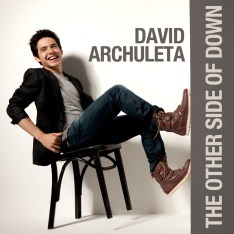 It should be called the ‘David Archuleta’ oath! Hello to all the Honeybees! Well, I sure have learned something! I thought David was talking about something he was having to do with LDS. Not the Boy Scout. Amazing David… that’s what he is. And I will never grow tired of his music! Never! Hi everyone, I think this is finally set up so I am just testing right now. Hi again, I am so excited this site has been set up thanks minja, I am not sure if we have to send you are e-mails again or not. Looking forward to watching David in a few hours, can’t seem to get enough even though I’ve been listening non-stop to his album. Need to go to sleep now, Happy Thanksgiving everyone speak to you all later.